Cultivating a Culture of Collaboration Part 2: “I Don’t Know” is NOT a Death Sentence! Last week we talked about cultivating an environment of openness and questioning within your team. Embedded in that idea is developing an environment of safety: a place where people can come and say ‘I don’t know.’ A place where they can come and think out loud with you. What we’re doing is helping your team recognize their own leadership and ability to answer their own questions, but in the process come to see you, the leader, as a resource and partner — not an ogre or dictator. Remember: it can be very difficult, vulnerable, and embarrassing for a team member to acknowledge they don’t know an answer and need to ask for help. It can be doubly so when you are in a position of authority and believe you are supposed to know. Typically, we are conditioned to see the lack of knowing as a sign of weakness. That’s why we have expressions such as “fake it ‘til you make it” — but it doesn’t have to be that way. When I was a front line salesperson, (which is an odd way to phrase it because we are all salespeople, especially leaders — who are constantly selling their vision and culture) people would ask questions that I didn’t know the answer to — and you know what? Some of the most powerful and long term relationships with clients were built on my lack of knowledge. My inability to answer made me look human and made them feel smart — smart enough to ask a question that I hadn’t heard before. Then, together, we figured it out — strengthening our relationship in the process. The funny thing is, when I got stumped, a sale would almost certainly follow because we built connection. The same goes for your team. Saying you don’t know the answer to a question doesn’t make you look weak — it makes you look confident. It takes a strong and confident person to admit what they don’t know. There’s no judgement for your lack of knowing unless you behave weak and embarrassed. Instead, there’s just an opportunity to collaborate.There’s an opportunity to listen. And when you listen to your team — really listen — you hear amazing things: words of wisdom, sparks of brilliance, the creak of comfort zones being stretched. And that is when your team really succeeds. 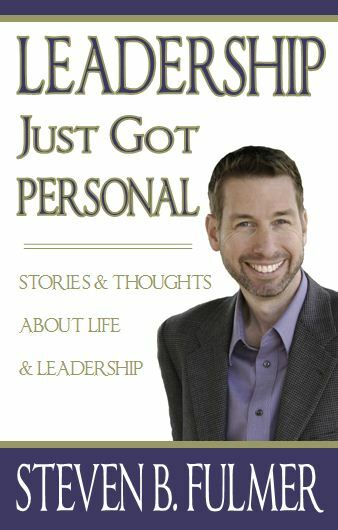 Steven's latest book Leadership Just Got Personal is on sale now!